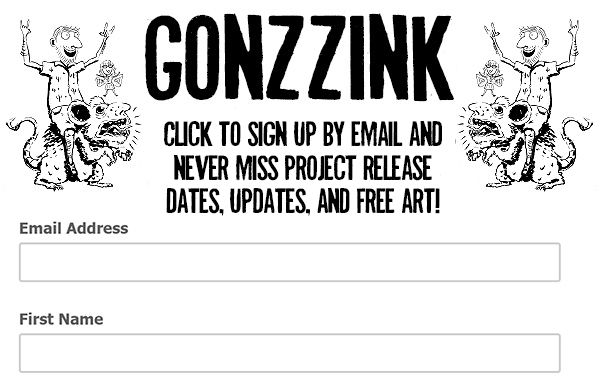 Gonzzink in Italy!? Baby head Iron Cast!!! So it has been a hell of a semester and so I have neglected posting anything to put all my time into my work. No worries though as I will soon have a lot of great stuff posted but first, Italy! So next summer Lamar University will be having a Study Abroad program to Italy for Art and History and I would really like to be a part of it! My partner Grace Chadwick and I decided to create a fund me page to get every little bit we can as the tuition is very expensive for us especially with our low income. Without saying to much thats already on the campaign page, we really just want you to know how badly we want this. We are not privileged and would never get this chance again so every little bit even just a single dollar(sorry no souls unfortunately…) will help us out. Go check out our campaign with a really great documentary short video our friend Zaccarri Van Clarke was amazing enough to film for us. So please just take a quick second to check it out and all we ask is that you atleast tell your friends and family! Also here are some images of my recently iron casted baby demon head that you see me working on in the Fund me video!! Can’t wait to buff this baby up and finish its centipede body! Previous Post 3C Comics Art Show featuring “The Legend of Polloman” FIRST 4 PAGES! Next Post NEW Colored Horror Comic “Falling Awake”!